NOTE: the Science Handbook and Math Genius have updated covers. The pictures still reflect the older covers in the Bundle photos. 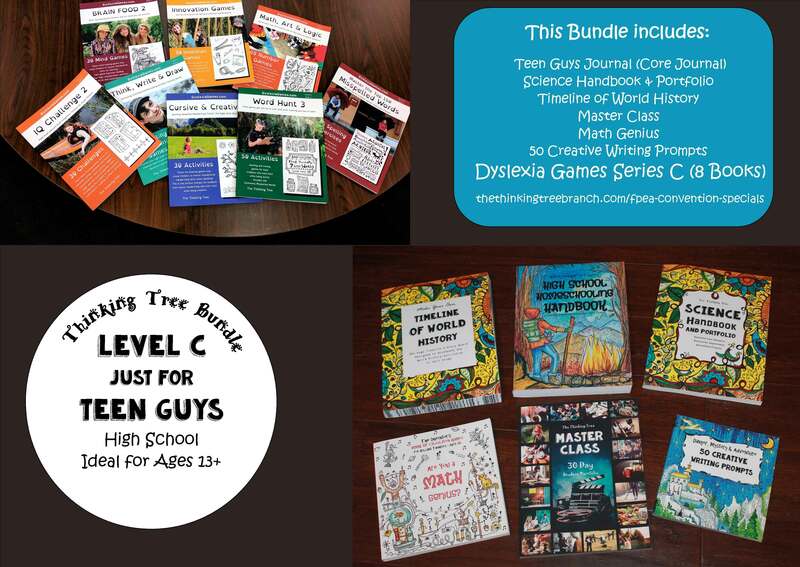 These special bundles were created for FPEA Convention attendees but are available to anyone interested in the Thinking Tree. 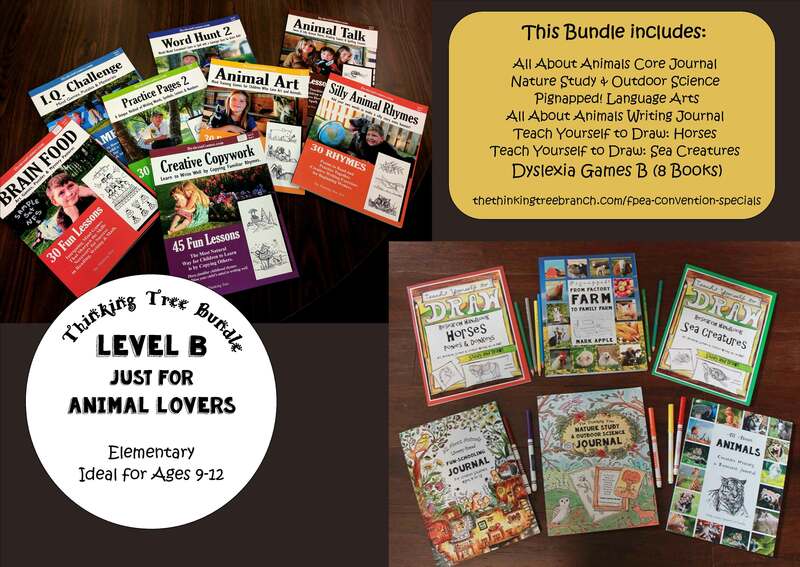 Thinking Tree Bundles are an easy way for you to get started with your Fun-Schooling days! 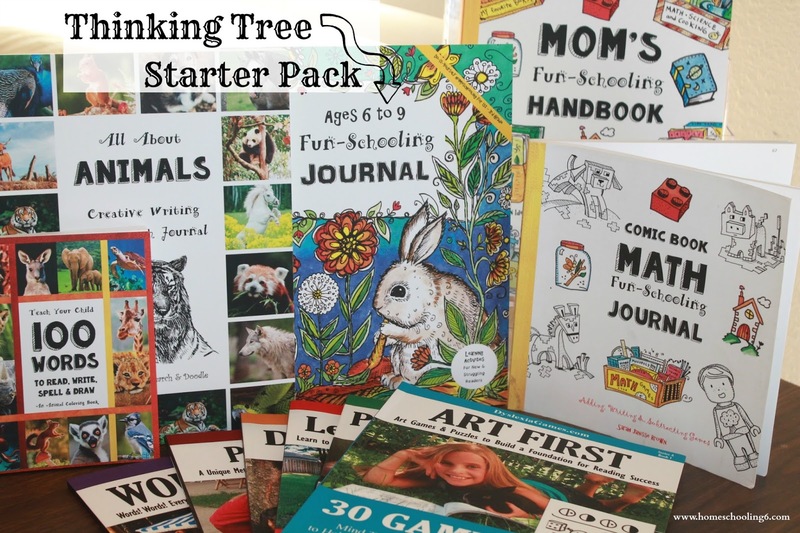 Whether you want to incorporate Thinking Tree Journals as a full delight directed and guided learning for your child(ren) or to supplement what you are using now. Each bundle has a Core or main Journal and at least five “supplemental” journals or add-ons. There is no right or wrong way to use these but many moms find that they are not sure how to flip to Fun-Schooling and/or using the Thinking Tree Journals. Each core journal has a page where your child writes down what he wants to learn, his interest. So find out what your child’s passion is and what they want to learn about. Go to the library and check out a stack of books, audiobooks, movies, and documentaries. Complete in the Core Journal the “Book” page. This is the page where your child will illustrate and write what books are being used (books can change, switching books is fine). Have available: a smooth black pen, pencils, colored pencils, gel pens, crayons, etc. Use books, audio books, documentaries, etc. to fill in the activity pages. 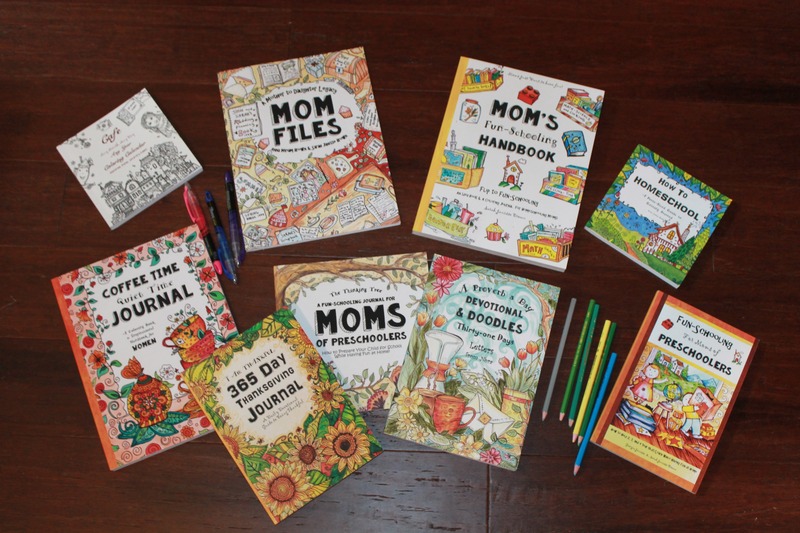 Remember that there is no wrong way to use these journals but again, many moms are not sure. Here are a few sample schedules. These are just samples because I get a lot of moms asking for guidance until they find their fun-schooling groove. Use the core journal, 5-10 pages a day, three times a week. Use the other journals twice a week. The daily pages will vary; find what works for your child. Monday – Wednesday use the Core Journal (pick how many pages a day, even if it has a “Circle Today’s Date” page, make it work for your child). Thursday & Friday use the other journals, have your child work in his timeline journal, spelling, science, Fashion Dreams, etc. Use the Core Journal daily. Have your child pick 3-5 pages to complete and use the other journals in the pack a few pages a day. Master Class use when needed- watching a tutorial, online class, documentary etc. Read from their stack of books! Tip! Utilize audio books too! 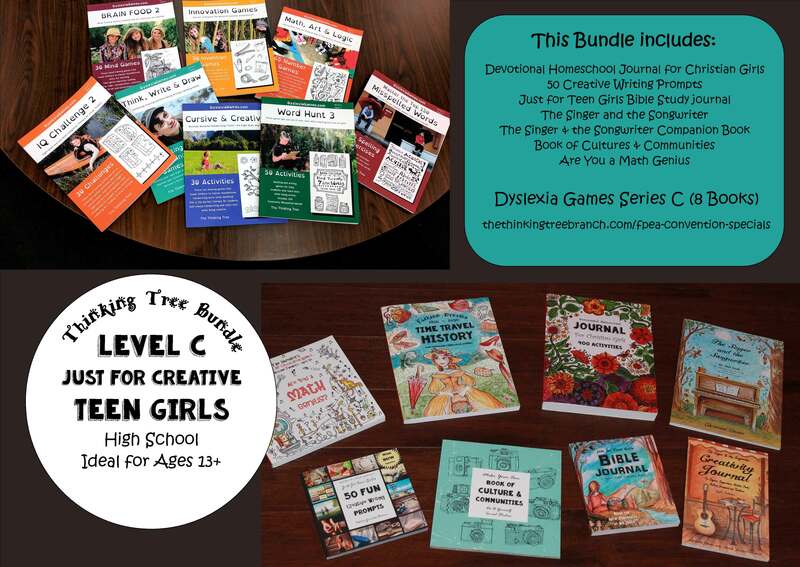 Each Bundle includes a Dyslexia Games Series (Physical Set), either A, B, or C, depending on the bundle (except the Mom Bundle). This is a great way to get started using the Thinking Tree. You can read more about the Starter Pack. If you would like to swap out the Core Journal or exchange the math/spelling/writing journal you can do that to customize it for your child. 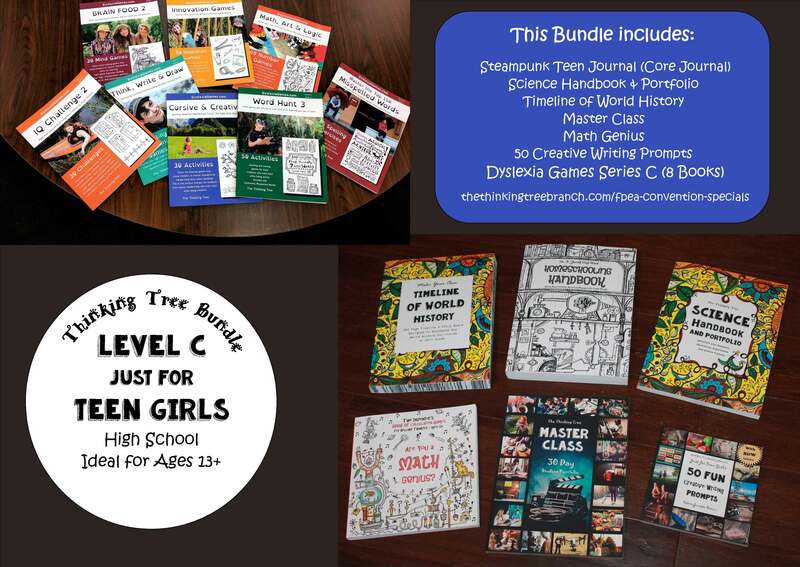 A fun bundle for your creative teen daughter Level C1 & C2. This is for the mom who has some preschoolers. 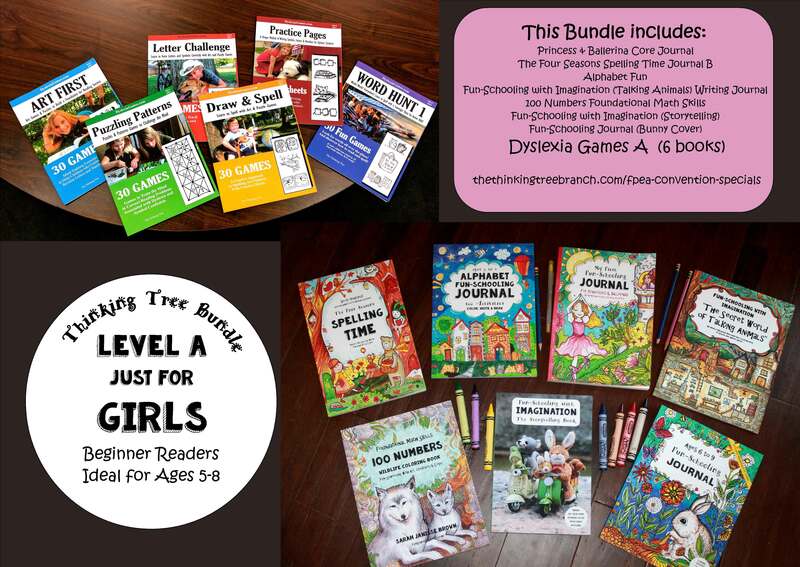 Struggling Reader & Writer Girl Bundle or if she doesn’t like to read and write. This bundle was originally created for an 8 year old girl Thinking Tree Level between A2 & B1.